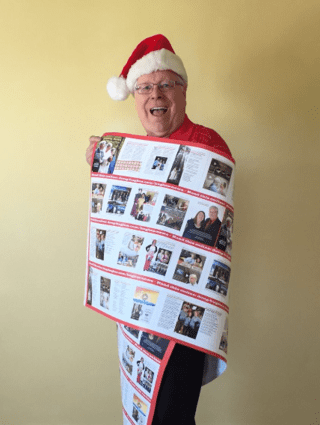 Santa Clara, CA, Tuesday, Dec. 15 – First he published the world’s longest Christmas newsletter, as a 160-page book; now, he’s published the world’s widest, on a six-foot roll of gift-wrap. 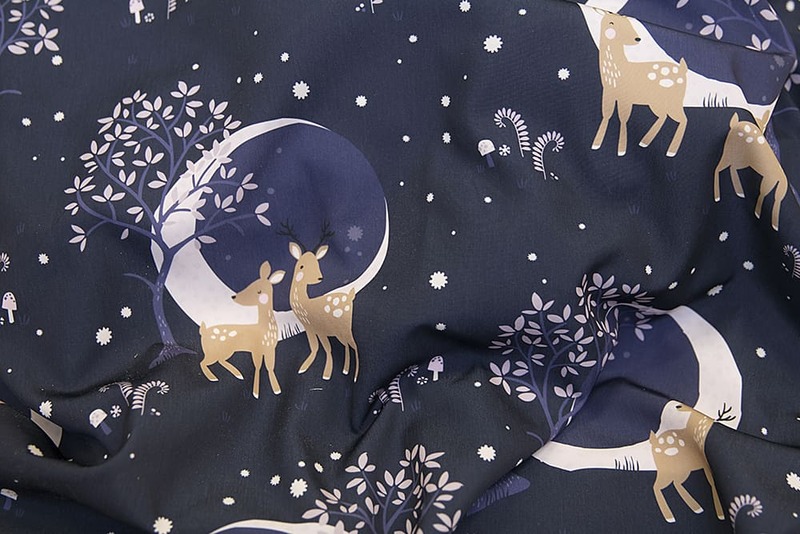 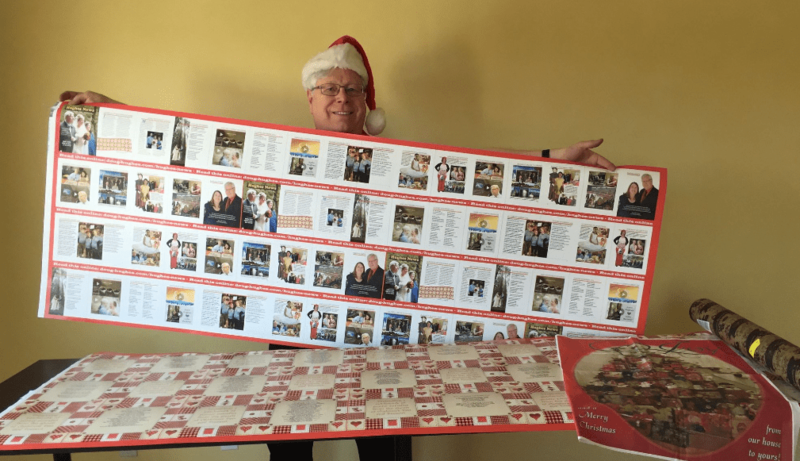 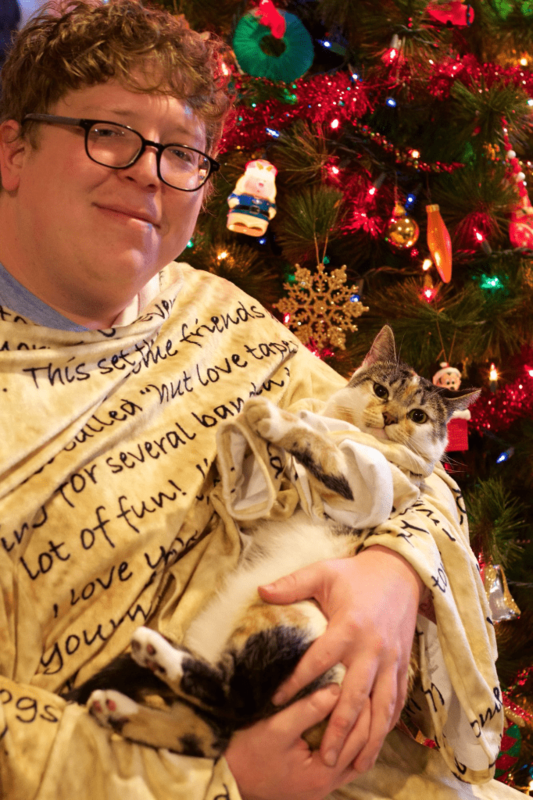 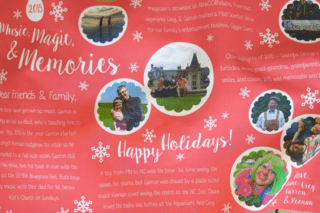 He has used the website Spoonflower to publish the 2015 edition of the family’s annual newsletter – known as “Hughes News” – on a roll of gift-wrap, six feet wide by just over two-foot high. 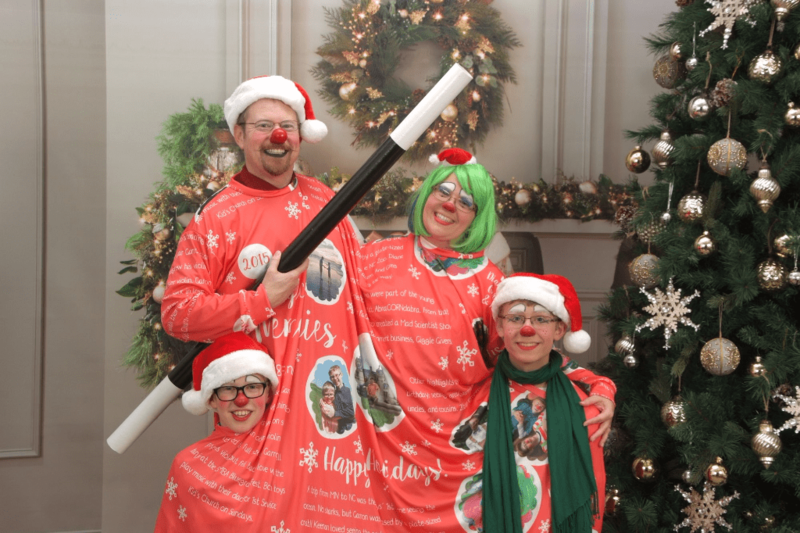 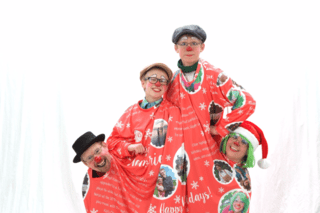 Rochester, MN, Tuesday, Dec. 15 – Holiday season newsletters that provide a year-end update of family news have entered a new era thanks to a family of clowns from Minnesota, which has invented the world’s first wearable newsletter.